Rhode Island had one of the earliest public education systems in the country, housed in this building beginning in 1800. The structure today is home to the Providence Preservation Society, formed in 1956. PPS leased the old schoolhouse from the city for its headquarters in 1960 and undertook its restoration. The Providence Preservation Society grew out of the urgent need to rescue eighteenth- and nineteenth-century buildings in the College Hill area of Providence’s East Side from demolition. The College Hill Study of 1959, sponsored by PPS, the City of Providence, and the Housing and Home Finance Agency, was an early example of urban revitalization using preservation and rehabilitation rather than demolition and redevelopment. PPS has saved the historic character of whole neighborhoods and has grown into a citywide advocate for preservation. Since 1958, PPS has offered the Festival of Historic Houses, which gives the public a behind-the-scenes look at the interiors of some of the city’s most architecturally and culturally interesting residences and buildings. PPS also publishes the annual Most Endangered Properties List to raise public awareness of the threat to the city’s architectural heritage. One success story is that of the Fox Point Bath House on Wickenden Street. The Bath House was constructed in 1926 in a move to provide bathing facilities to areas of the city without indoor plumbing. The bathhouse was used as a library in the 1950s and 60s, but fell into disuse in the 1970s. Facing vandalism, infestation, and other signs of decay, the building made PPS’s Most Endangered Buildings List in 1998, 1999, 2002, and 2003. Thanks to efforts by community preservationists and city officials, the Bath House was restored and is now used as an elementary school library. 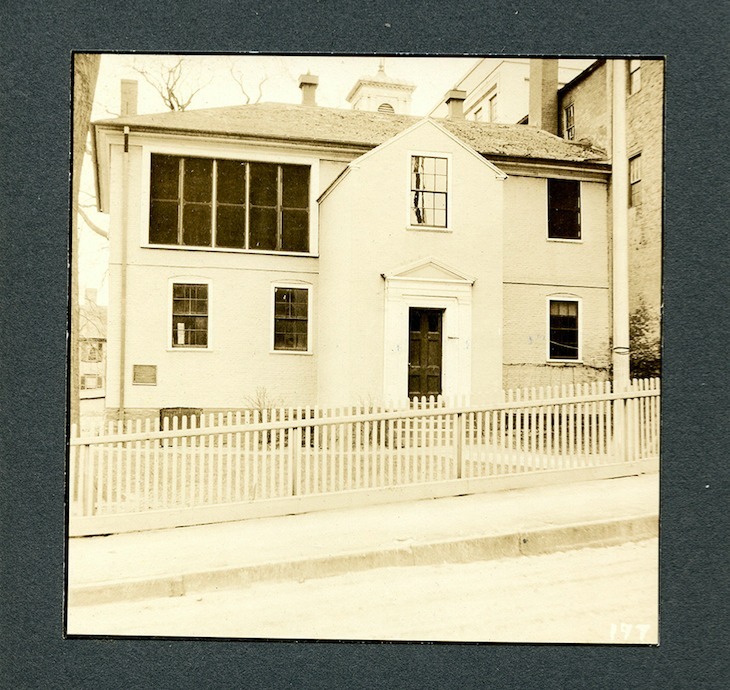 Harold Mason's Photograph of the Meeting Street School House: Not much is known about Harold Mason beyond that he was an apparently prolific photographer working in Rhode Island in the early twentieth century. The Providence Public Library owns hundreds of photographs taken by Mason. This photograph of the Meeting Street School House is circa 1920. John Hutchins Cady Scrapbook: John Hutchins Cady (1881-1967) was an architect, architectural historian, preservationist and urban planner. Cady authored several books on early Rhode Island architecture and also kept scrapbooks of relevant clippings and photographs. 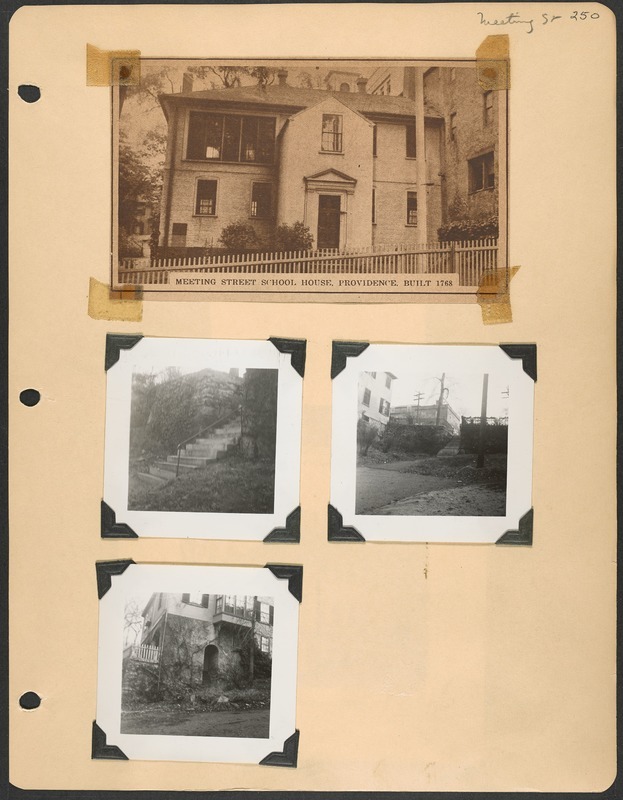 This page from one of his scrapbooks depicts the Meeting Street School House; this page also shows his documentation of the significant architectural details of Providence's East Side, including the stairwells on Meeting Street. 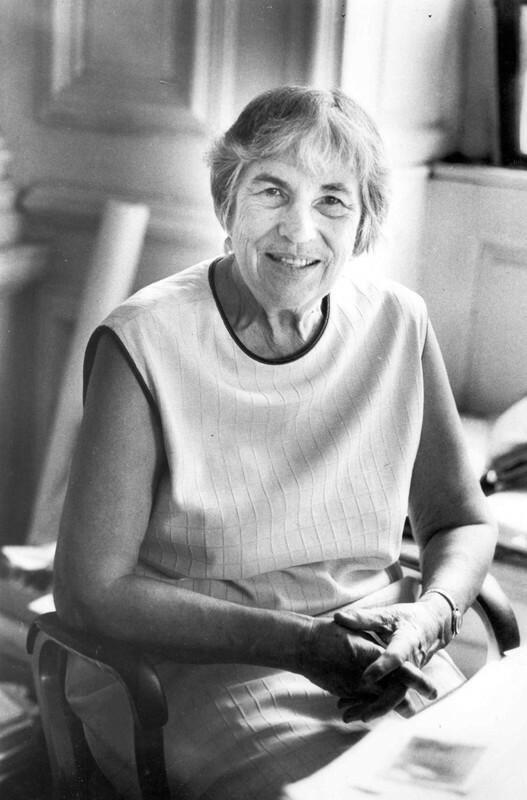 One of PPS's most notable founders, architectural historian and preservationist Antoinette Downing (1904-2001), first worked to preserve historic buildings in Newport before turning her attention to her own neighborhood in Providence's East Side. Be sure to check out one of PPS’s many yearlong programs, including lectures by architectural historians and preservationists. More information on these programs and others is avilable here: http://www.ppsri.org/. 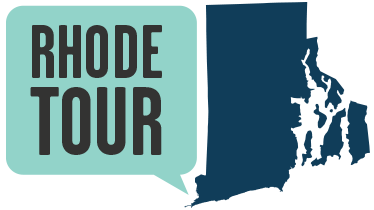 Elyssa Tardif, “The Old Brick Schoolhouse and the Providence Preservation Society,” Rhode Tour, accessed April 21, 2019, http://rhodetour.org/items/show/182.